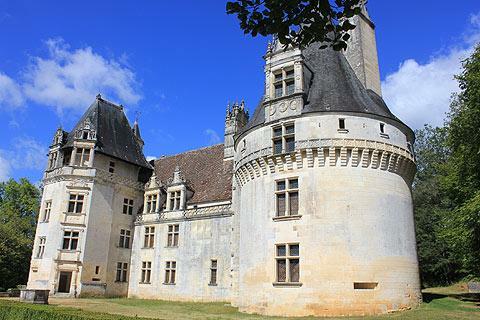 Chateau de Puyguilhem is near Villars in the northern part of the Dordogne department (north-east of Brantome and west of Saint-Jean-de-Cole). 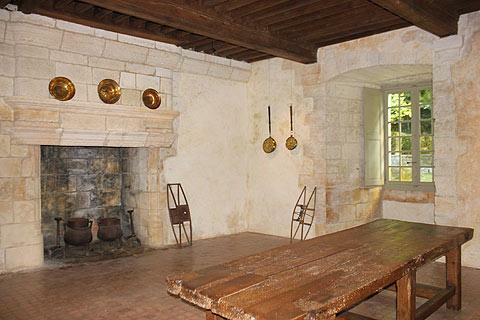 The castle is in a lovely setting, with a sweeping open valley of meadows in front of the castle and the oak forests typical of the perigord region to the rear. Built in the 16th century on the site of an earlier castle Puyguilhem is a fine Renaissance castle, and in this respect is more typical in style of the castles in the Loire Valley than the Dordogne region - except perhaps for the lack of symmetry in the design, which owes more to the earlier gothic style of architecture. The round tower that dominates the left side of the front of Puyguilhem is influenced by earlier medieval defensive castles. The setting is lovely and the views around the castle are very picturesque. Sadly the lake that was once in the valley below the Chateau de Puyguilhem is there no more - but the views down the valley from the chateau remain very attractive all the same. It is also the decorative renaissance elements that are highlights of a visit, including the spiral staircase, steep roofs, ornate fireplaces and the intricate detail to the chimneys and window surrounds. 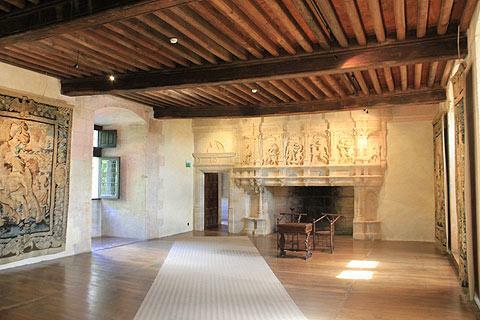 Particular highlights include the fine carpentry work to some of the ceilings in the castle and a monumental fireplace. The castle is open to visitors all year round. 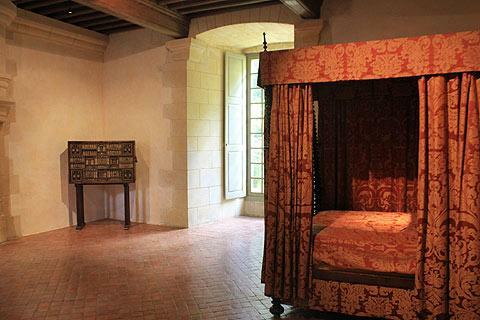 Chateau Puyguilhem is a listed Historic Monument in France. See also Dordogne castles.